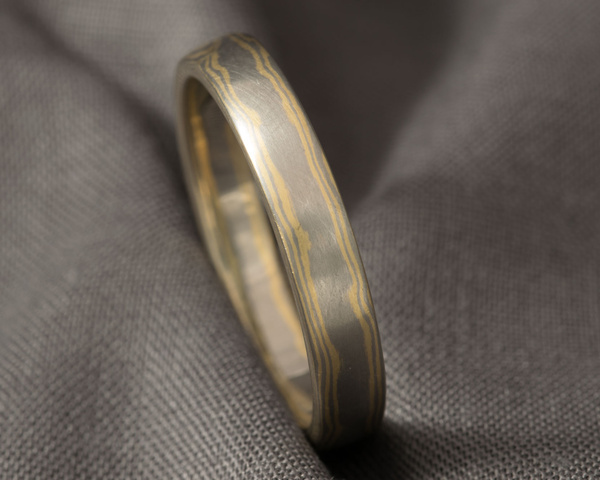 This ring has been made from a combination of Palladium and Yellow Gold. The colours give a nice touch of Gold and a greyer tone. Ladies wedding rings in this combination start from £750, Gents wedding rings in this combination start from £1,120.